Macuá Tours is a company located in Rivas (Nicaragua) formed by a group of very experienced and enthusiastic entrepreneurs, all with backgrounds in the field of Tourism, committed with the preservation of our flora, fauna and culture. By bringing together our collective knowledge and experiences we can provide you with exciting and knowledgeable organized tours that comply with all your necessary provisions and tour itineraries. We recognize our clients’ high standards of quality and strive to exceed those standards. We have created business partnerships with various vendors including hotels, transportation providers, and many other local businesses to provide our clients with a wide range of options and flexibility. Macuá Tours, also brings an added benefit to our clients: Because tours are organized and directed by us, there is no middle-man, meaning we can operate at a lower cost and pass the savings on to our clients. 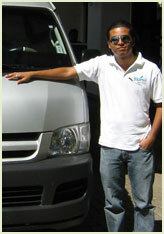 You will receive quality, personalized service at the absolute lowest cost. We create unforgettable experiences “one of a kind”, unique, original!